A crown is a restoration that covers (or “caps”) a tooth to restore it to its normal shape and size, which can strengthen and improve the appearance of the tooth. Crowns are necessary when a tooth has been damaged significantly and cannot be adequately restored with a filling. A crown can protect a weak tooth from fracturing; it also can prevent a cracked tooth from further damage. Crowns can cover discolored or misshapen teeth for more aesthetically plesing smiles. Crowns are usually needed after a root canal has been performed on a back tooth. To correct the gap caused by a missing tooth and prevent other teeth from drifting in other positions, we may recommend that a dental bridge be placed. 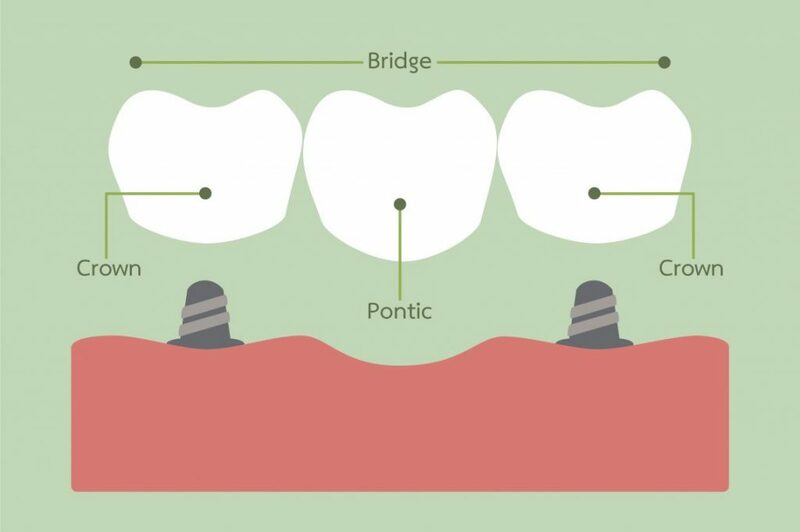 A dental bridge is a combination of two booth crowns and one or more pontics, or natural looking replacement teeth. We begin by shaping the teeth on either side of the gap so that an abutment crown can be placed on the tooth. 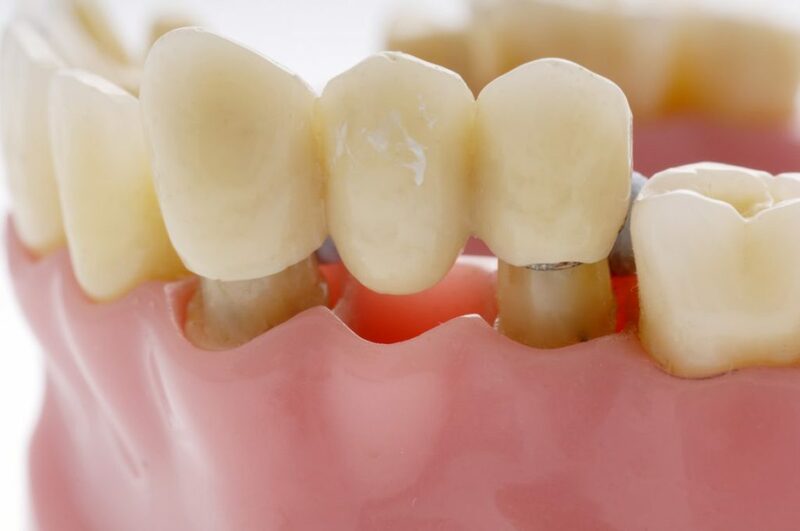 The custom crowns are created for your teeth with the pontic, or replacement tooth, attached to the crowns and the bridge is cemented as a sigle piece. It usually takes about one to three weeks for the permanent dental bridge to be created. 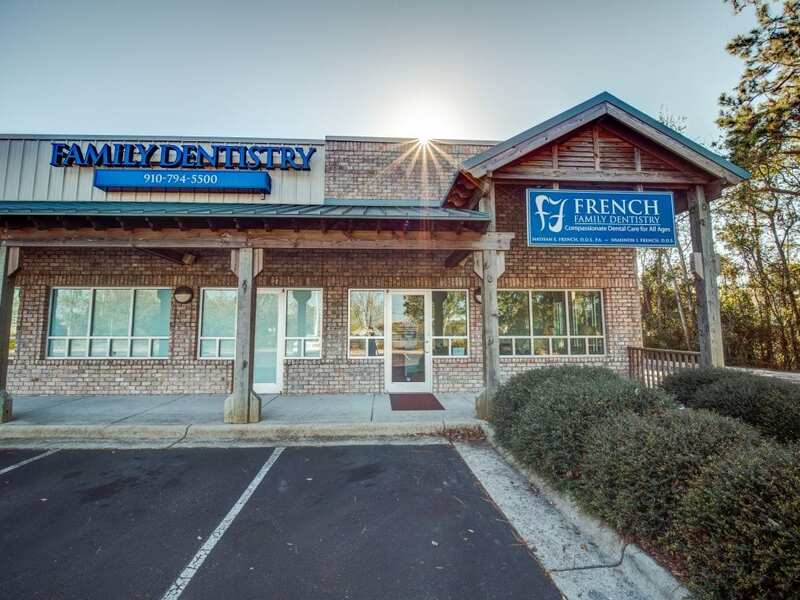 In that time, you will be fitted with a provisional dental bridge that will be removed when the permanent one is bonded or cemented into place. This provisional bridge is used as a guide so the patient can try out how the bridge feels and make adjustments prior to delivery.